He arrives at the Shri Ram Centre at Mandi House bang on time. 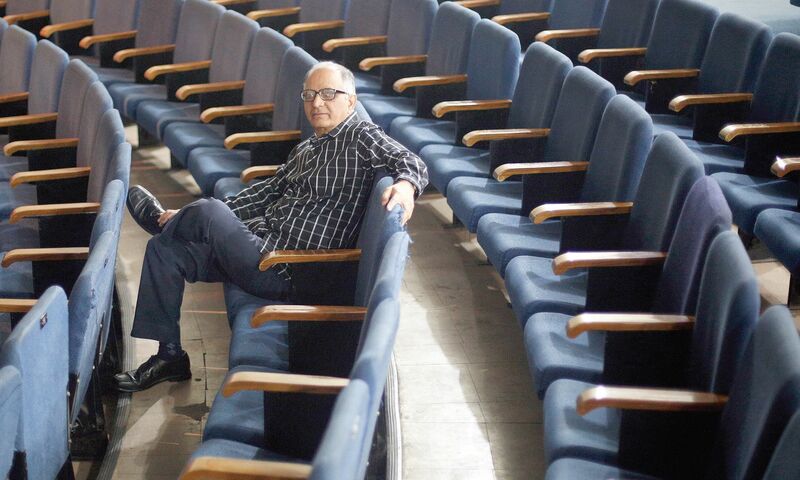 Ravi Raj Sagar, writer, director, actor and Artistic Director at Dramatech, the country’s foremost amateur theatre forum, is a stickler for discipline and lives a rule-bound life. Sagar could have made a living anywhere in the world, but he chose Delhi as his home. It’s the respect given to the performing arts here that has kept him on this creative turf for many decades now. “For an artiste like me, exposure to different artistic sensibilities is very important. We can only expand our knowledge horizons if we stay abreast with different genres of performing, and for that very reason, Delhi is brilliant,” says Sagar, an alumni of IIT-Delhi and IIM-Calcutta, who is at present working with Hewlett-Packard India. He spends a lot of time in parks, where he connects with different elements of nature, which in turn instill a sense of calm in his being. “Delhi is the city of parks, and most of them are brilliant. These are the only places where urban dwellers like myself can reel in the beauty of nature, amid the concrete jungle we live in,” he says, adding that it gives him a sense of wellbeing, which many times is sapped on the frenzied roads of the city. He feels perturbed when he sees the lack of order on the roads. For that too, he’s found a solution—he’s started travelling by the trusted Delhi Metro. In 31 years, he and his team have worked on 39 plays. They’re choosy about the plays they adapt, as well as embracing the life they have beyond theatre, which to Sagar and other members of Dramatech is sacrosanct. “We all have individual lives, day jobs and family commitments. Theatre is our passion and we continue to express it through our plays,” says Sagar.